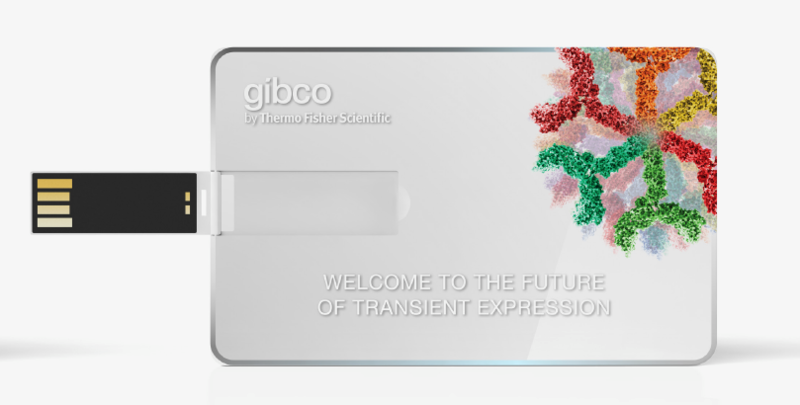 The Gibco™ ExpressionWorld™ virtual conference is the world’s largest online venue for experiencing the latest advances in protein expression. On May 10, 2017, this interactive forum will connect experts from around the globe to share case studies and best practices in the exciting areas of biologics development and structural biology. Attendees will receive first-hand knowledge of the newest technologies for high-titer recombinant protein production as well as protein expression system design, workflows, purification, and characterization methods. Scientist, Protein Technologies, Amgen, Inc. Scientist, high-throughput transient transfectio, Pfizer, Inc. Scientist, Protein and Cell Sciences, EMD Serono Research and Development Inst. Ryan Boniface has been an R&D Scientist with Thermo Fisher Scientific in development of Gibco™ media and supplement products for nine years. 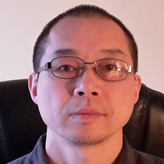 He is experienced in high-throughput medium design process development, validation, and technology transfer. Ryan's formal education includes an MS in Biotechnology from State University of New York, Buffalo. Henry is associate director of product management, responsible for the Gibco and Invitrogen-branded protein expression portfolio at Thermo Fisher Scientific. He has directed or guided development of such products as Lipofectamine® LTX, Lipofectamine® RNAiMAX, Lipofectamine® 3000, the FreeStyle™ MAX CHO Expression System, the Expi293™ Expression System and the ExpiCHO Expression System. Henry previously worked for small biotech companies in gene delivery and gene therapy. He received his Ph.D. from Harvard University and did his post-doctoral training at the University of Pennsylvania. Dr. Fath is a Manager, Manufacturing in the Biosciences Division at Thermo Fisher Scientific, GeneArt in Germany. Stephan received his PhD in protein biochemistry from the University of Heidelberg, Germany. After his education and research work on ribosomal biogenesis, he joined Memorial Sloan Kettering Cancer Center / New York, USA as a Research Fellow, studying COP II proteins by protein crystallography. Stephan has a strong background in protein biochemistry, expertise in different protein expression systems and a proven track record of publishing his scientific work in internationally renowned journals. In 2008 he joined GeneArt and worked as Senior Scientist in R&D before switching to Operations. As Manager, Manufacturing he is currently responsible for the highly customized protein expression & purification services. After graduation from the Aachen University of Applied Sciences in Germany I worked for a number of years as a Process Development Scientist at AstraZeneca in Sweden in cell line generation and developing scalable fermentation processes for mammalian cell cultures. After this I moved to the UK and joined the New Meds Division of UCB working within the transient gene expression group. Over my 10 years at UCB I have implemented many improvements to both our CHO and HEK293 transient expression platforms which have led to significant improvement in titre and throughput. I am now currently part of the alternative antibody format group helping to design and improve expression of 'difficult to express proteins'. Hideki Hasegawa graduated from the Hokkaido University school of medicine in 1993 with M.D. and finished graduate school at Hokkaido University in 1997 with Ph.D. He studied at the Rockefeller University from 1995 to 1996, and University College Dublin from 1996 to 1997 as a postdoctoral fellow. After finishing his studies he joined to National Institute of Infectious Diseases (NIID) where he had spent his research of infectious diseases at the department of pathology. In 2003 he promoted to Chief of Laboratory of Infectious Diseases Pathology, at NIID where he is extending his research to the development of a mucosal vaccine against influenza viruses. In 2011 he promoted to Director of the Department of Pathology at NIID. Anass Jawhari, holds a Ph.D. in biochemistry & structural biology from Louis Pasteur University (Strasbourg, France), obtained under the supervision of Professor Dino Moras (IGBMC & French academy of Science). He worked as research associate at the Scripps Research Institute (La Jolla, US) and at the Gene Center (Munich, Germany) before joining Transgene as Research Investigator. He is now Chief Scientific Officer at CALIXAR. He has more than 18 years' experience in research & development projects related to molecular aspects of vaccine, cancer & infectious diseases. Anass is also member of different membrane proteins consortiums (GPCR and ion channels) and board member of different institutions including SOJ immunology editorial (US) and Chem2stab consortium (France). Yongchang Ji, PhD. is a scientist in the Life Sciences Solutions Group at Thermo Fisher Scientific in Carlsbad, CA. Yongchang is currently working on development of the high tier, large scale mammalian suspension lentiviral vector production system for gene therapy application. Dr. Ji received his Ph.D. in Cell Biology and Anatomy from SUNY Upstate Medical University, NY and his undergraduate degree from Xiamen University, China. 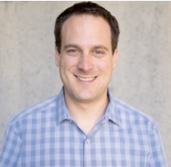 Aaron McBride is an R&D Scientist at Thermo Fisher Scientific, where he has played an instrumental role in the development, commercialization and support of multiple chromatography resins and recombinant proteins introduced over the past seven years. Aaron has experience in protein expression, purification and characterization, as well as, process development and validation. HIs development work included products for protein purification, molecular biology and in vitro translation. His formal education includes an MS in Cell and Molecular Biology from Michigan State University. In 2016 Konrad joined the Protein and Cell Sciences group at EMD Serono in Billerica, MA as a member of the research stage protein expression team. Prior to EMD Serono Konrad worked for 25 years as a research scientist at Biogen in Cambridge, MA where he developed and managed a protein expression and purification core team. His expertise includes transient protein expression in mammalian and insect cells, both at small and large scale, using shake flasks, stir-tank bioreactors, and rocking bioreactor systems. Konrad's focus is optimization of protein quality and yield by designing growth conditions and feed strategies. He also brings significant experience with developing, selecting and culturing hybridoma and stable mammalian cell lines. 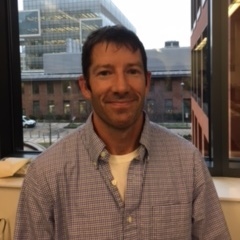 Scott Meier is a Research Scientist at Thermo Fisher Scientific, focusing primarily on the development of novel tools for protein isolation and enrichment. 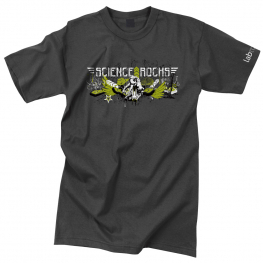 He has a strong background in protein expression and purification for structural and functional studies. 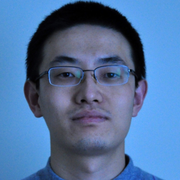 His most recent project involved developing magnetic agarose affinity beads for high-throughput small scale purification of recombinant proteins and antibodies. Over the past six years, Scott has developed products related to bacterial lysis, membrane protein extraction, high flow affinity chromatography resins, and glycoprotein immobilization chemistry. Scott has a B.S. in Bioengineering from University of Illinois Urbana-Champaign and a M.S. in Laboratory Investigation from Vanderbilt University School of Medicine. B.S. Biology, Santa Clara University, CA Ph.D. Molecular Biology and Biochemistry, University of California, Irvine Protein biochemist and structural biologist in the field of HIV vaccine design. Duties include design and expression of novel immunogens in mammalian cells, stringent purification protocols for animal immunization studies, and quality control assessment of antigens alone or in presence of adjuvants/buffers using a combination of biolayer interferometry, differential scanning calorimetry, isothermal titration calorimetry, and electron microscopy. Assessment includes samples from GMP-level production. Additional projects involve high-resolution epitope mapping and structural determination of HIV Env trimers using cryoelectron microscopy, with a focus on trimer dynamics. Alexander "Sasha" Vlassov is a Senior Manager, Research and Development, at the Austin site of Thermo Fisher Scientific. Dr. Vlassov has developed multiple product lines including reagents for exosome and microbiome research, siRNA, tools for miRNA functional analysis, and transfection reagents. For the last two years his team is developing advanced technologies for plasmid DNA purification, with primary downstream application being ExpiCHO and Expi293 transient expression systems. Jonathan Zmuda is a Director of Cell Biology at Thermo Fisher Scientific in Frederick, Maryland. Jon leads a team dedicated to discovering and developing new technologies and products useful for cell biology applications, including transient protein expression, advanced cell culture, and rare-cell analysis. He received his Ph.D. in Cell Biology from the University of Maryland, College Park. *No purchase necessary. This promotion is available only to qualifying attendees of Gibco ExpressionWorld who earned an event certification. Qualifying attendees will be contacted to receive an 8 GB Gibco ExpiCHO system USB card. Free 8 GB Gibco ExpiCHO system USB card is available to eligible participants who complete the required activities no later than June 30, 2017. The estimated value of the USB card is $7.00 USD. One gift per person. Health care professionals may not participate in this promotion. Healthcare Professional (HCP): means any individual (with a clinical or non-clinical role; whether a government official, or employee or representative of a government agency or other public or private sector organization; including but not limited to, physicians, nurses, technicians, laboratory scientists, researchers, research coordinators or procurement professionals) that in the course of their professional activities may directly or indirectly purchase, lease, recommend, administer, use, supply, procure or determine the purchase or lease of, or who may prescribe medical technologies or related services. The definition of Healthcare Professionals includes individuals involved in research activity, not just those directly involved in the provision of healthcare services. Government Officials may not participate in this promotion. The term Government Official includes anyone who acts in an official capacity for or on behalf of a government entity, department, or agency. By registering, you warrant that you are not prohibited by employment, contract, professional codes of conduct or internal rules or law from accepting a gift from Thermo Fisher Scientific. Offer void where prohibited, licensed, or restricted by federal, state, provincial, or local laws or regulation or agency/institutional policy. Other restrictions may apply. ** Discount will apply to orders received by Thermo Fisher Scientific no later than June 30, 2017, or until promotional supplies are depleted, whichever comes first. Customers can use the discount only once. Limit one per customer. Discount applies to the list price in effect at the time the order is received by Thermo Fisher Scientific. Cannot be combined with other discounts or promotions. Offer void where prohibited, licensed, or restricted by federal, state, provincial, or local laws, or regulation, or agency/institutional policy. Other restrictions may apply.